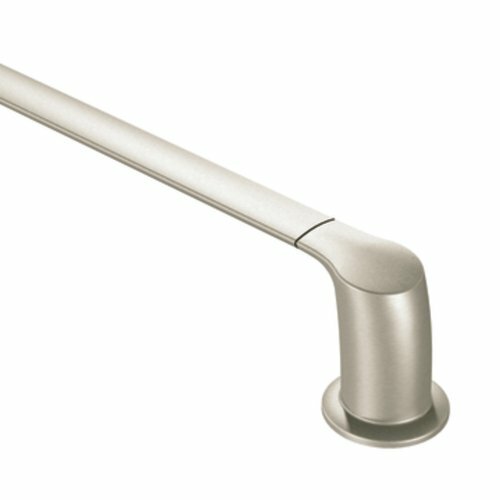 YB2418BN Finish: Brushed Nickel Features: -Corrosion resistant. -Method collection. -Zinc construction. -Modern style. -Do not use commercial or abrasive cleaners. Product Type: -Towel Bar. Style: -Modern. Country of Manufacture: -United States. Mount Type: -Wall Mounted. Primary Material: -Metal. Dimensions: Overall Height - Top to Bottom: -2.09". Overall Length - Side to Side: -20.9". Overall Depth - Front to Back: -2.83".